One of my favourite mobile apps for photography is Photopills. It already leads the field in having more photography planning features than any other app I know. This week though, they have launched version 2.9 which gives a really handy enhancement to the Planner section of the app. So far, the app has been able to show you the position of the sun or moon at any time of the day as well as the points where they both rise and set. With this new enhancement, they’ve now gone one step further. It’s now possible to view the field of vision that your lens will give at different zooms and also show you the depth of field for any combination of aperture, lens, and camera. If you’ve used Photopills in the past, you’ll know that you can drop a red pin to show the position where you are shooting from and a black pin which could be the subject. I have set Photopills to show me the view from Calton Hill in Edinburgh toward Edinburgh Castle. This shows me that on 28th November the sun would be setting pretty much behind the castle, so it should make a pretty good shot (as long as the sun plays ball!). The walk up to Calton Hill is quite steep so I don’t want to be carrying lenses that I don’t need. Until now, there wasn’t a way of knowing which lens would give me the shot I wanted. The first new function that has been added is a field of view planner. To use it, simply click on the Map Layers button indicated with a red circle on the image above. Click on the Map tool menu and select Field of View then Done as you can see in the short video below. This has introduced a new menu on the map and we can also see two solid lines and a dotted white line with black dots on them. These three lines show the outer edges of the field of vision and the centre line. My ideal shot will have the Dugald Stewart monument on the left third and will include Princes Street on the left of the image so that I can also capture the Christmas market. By moving the three lines by pressing on the small black dots, I can determine that the ideal focal length would be 33mm. This is great, now I only need to take one lens with me to the top of Calton Hill. Now I know the lens that I need to take with me, I want to make sure that everything in the scene is sharp. To do this, I need to calculate the hyperfocal distance which I have done a previous blog on. We do this by clicking on the Map Layers button and again clicking on the Map tool menu, but this time taking the Depth of field option and clicking Done. This time, the sub-menu has an extra option which is the aperture. The video below shows how to change the aperture and then how to view the hyperfocal distance. We can see that with an aperture of f/14 that we need to focus 3.28m away from where we are stood and everything from 1.64m in front of the camera through to infinity will be acceptably sharp. This latest update from Photopills makes planning a shot really easy. Now, all we need is for them to be able to predict the weather and we can guarantee perfect shots every time! 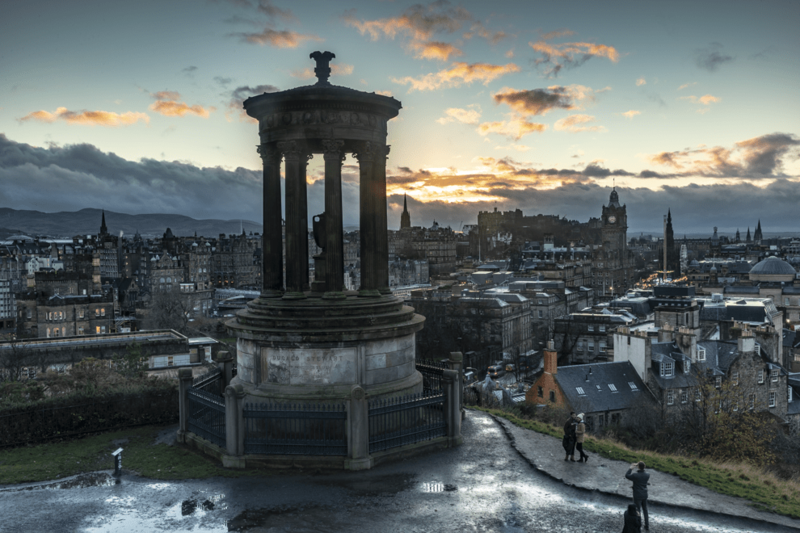 We start the Night Photography workshop from the top of Calton Hill. If you’d like to learn how to get great images after the sunsets, it would be great to see you on a workshop soon.